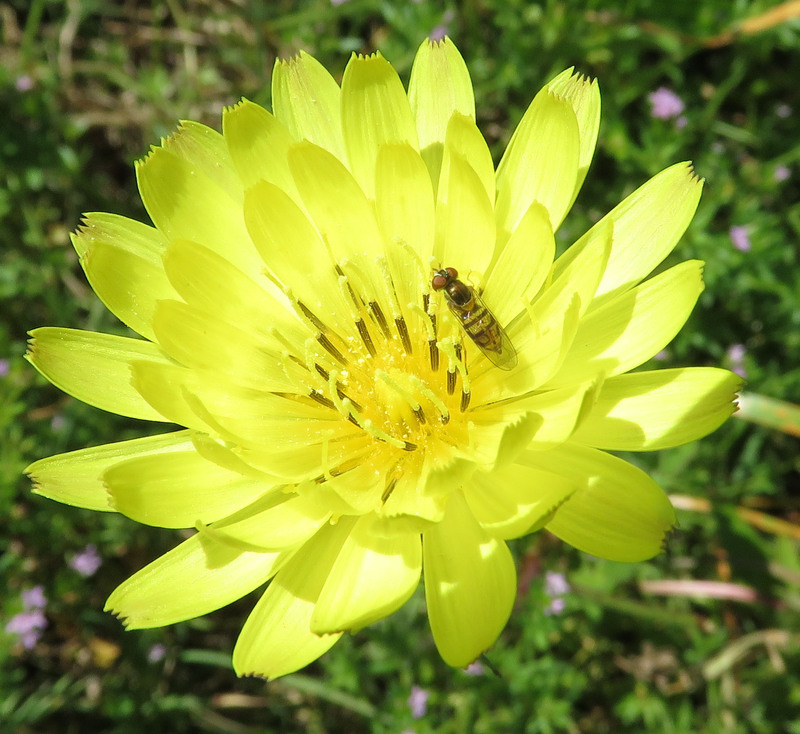 While gathering flowers for dye, I found a lot of different insects using the Texas Dandelion as a host plant. You can click on the images to see them larger. A bee thigh deep in pollen. 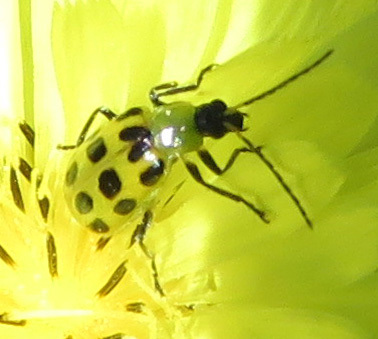 Twelve-spotted cucumber beetle, Diabrotica undecimpunctuata howardi. 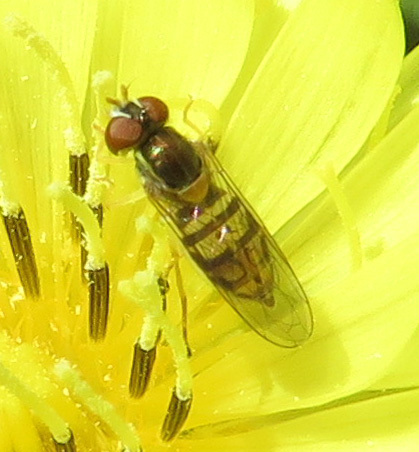 Syrphid fly — also known as flower fly or hover fly. Veined Ctenucha moth, Ctenucha venosa. I followed it from the dandelion over to this grass seed head stalk. 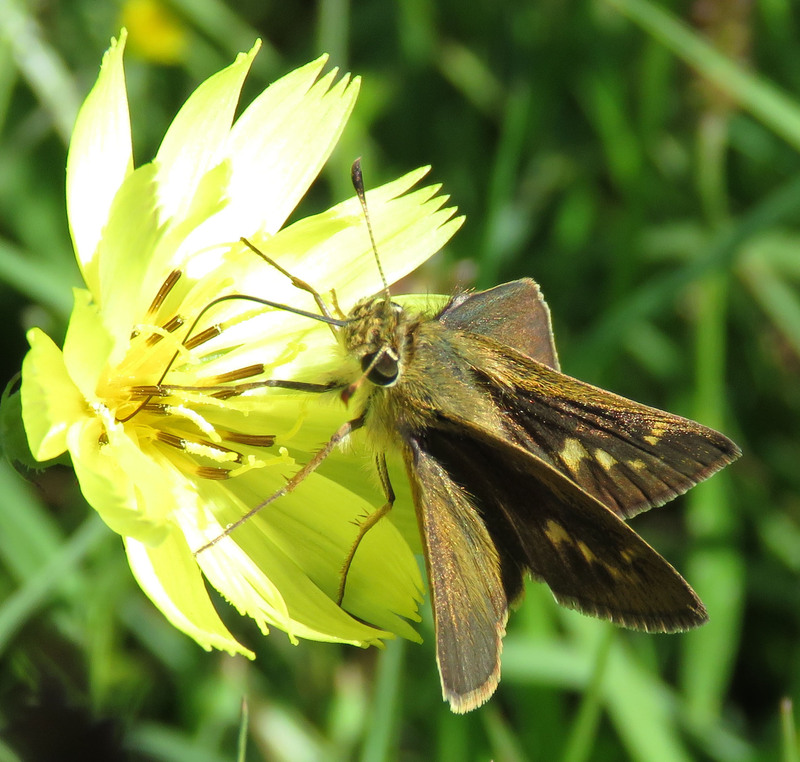 A skipper butterfly but I don’t know which one. 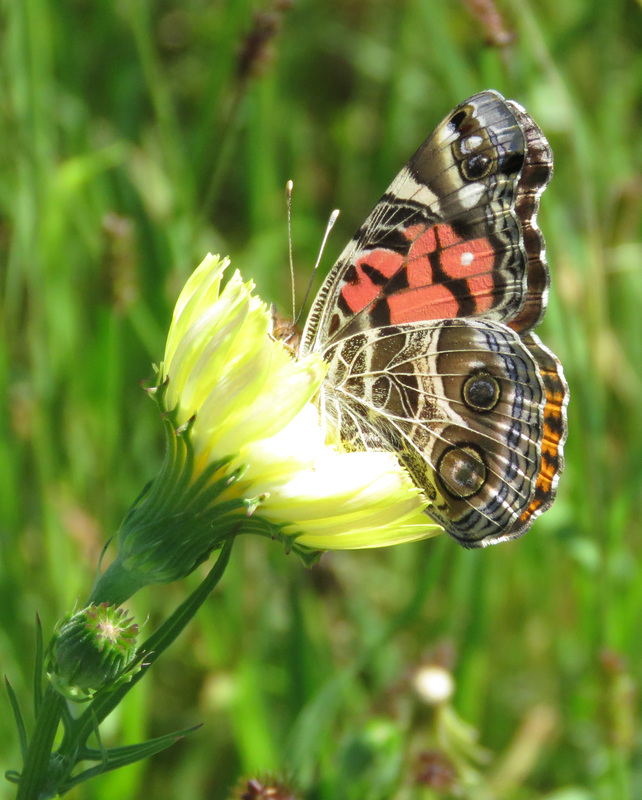 American Painted Lady, Vanessa virgiensis. 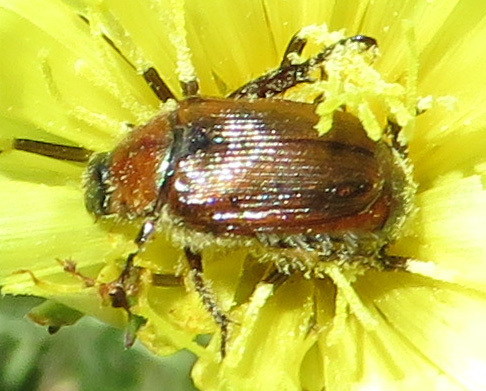 I believe this is in the May beetle and Junebug family. 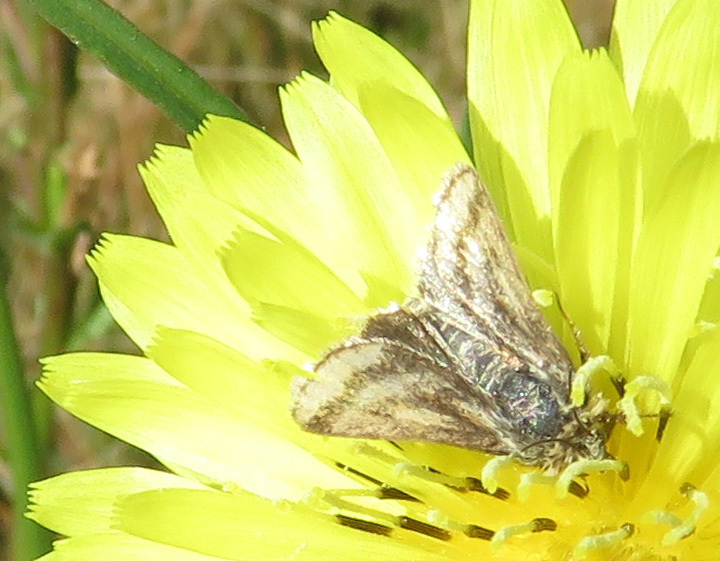 A tiny moth about 1/4 of an inch long. 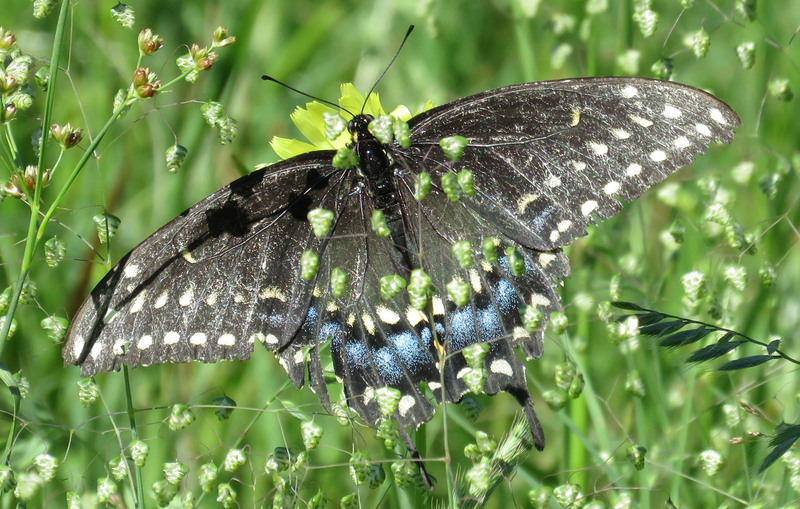 Eastern Black Swallowtail female, Papilio polyxenes. If you would like to see the yarns I dyed with dandelion dye, you can click here. Very nice photos. 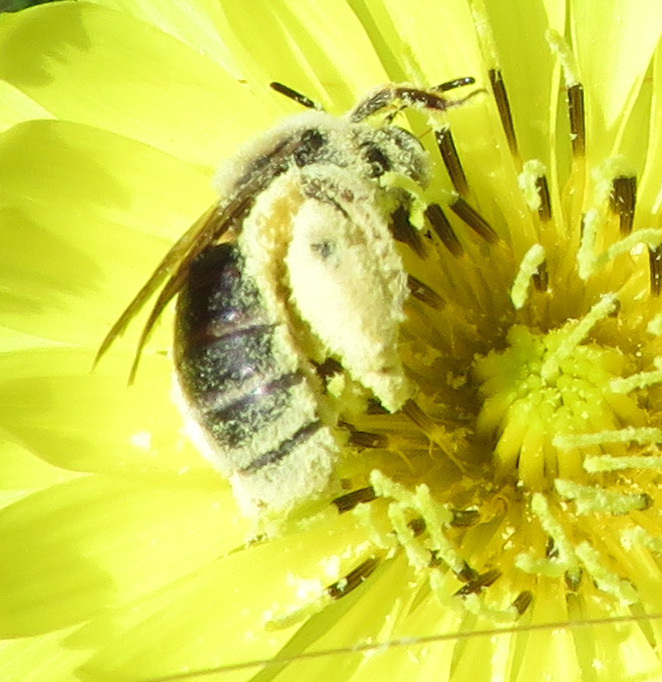 That bee will have a hard time flying back to the hive so heavily laden with pollen. The Painted Lady is a dazzler. You can see the scales on the wings. Thank you! I have set my Powershot to Program mode instead of Automatic — I think the shutter speed and aperture and ISO are all still be set automatically, but it seems to be focusing better. Although I still get plenty of shots where the background is in focus better than the subject. I really need to send it away for repair because the zoom doesn’t want to work sometimes, but I can’t “picture” being without it for a while!